Thermoplastic Olefin or Polyolefin (TPO). TPO is the most eco-friendly and least expensive option. Much like PVC, it is resistant to fire, chemicals and the sun, which helps with cooling costs. It is available in white, grey, tan and other color options. Polyvinyl Chloride (PVC). This kind of roofing is great for restaurants due to its resistance to chemicals, oils and gases. Like TPO, it is also resistant to the sun, helping maintain energy costs. Ethylene Propylene Diene Momorner (EPDM). 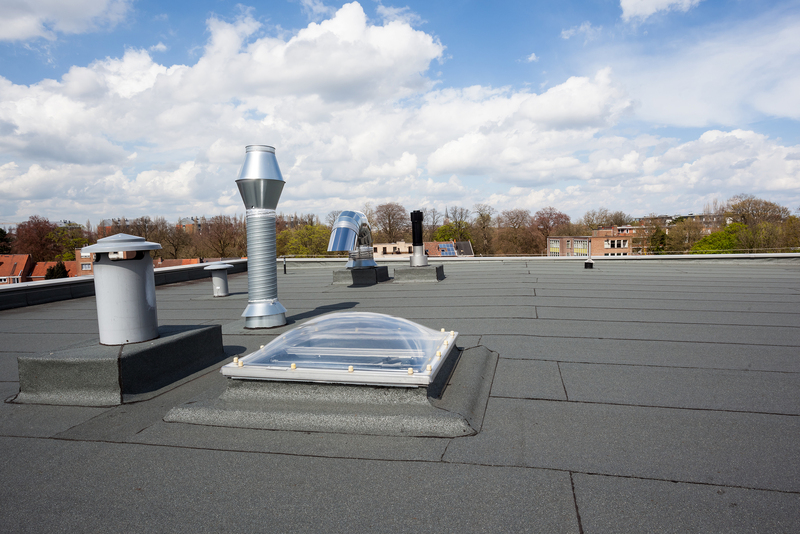 This product is also referred to as rubber roofing. EPDM is lightweight and made up of oil and other natural gases. This material is resistant to any extreme temperatures, rain, wind and hail. EPDM is only available in black or white and can be put on in a variety of thickness. Walk pads are now popular for rubber roofs if there is a high-traffic area. As business owners and experienced roofers, the team at Atlas Construction understands better than anyone the importance of a sturdy and reliable roof for your commercial property. Whether you’re looking for an efficient commercial roofing system or need emergency roof repair or inspection, our professionals are on call to offer our expertise. Contact us today by calling (828) 544-1110 or fill out our online form.